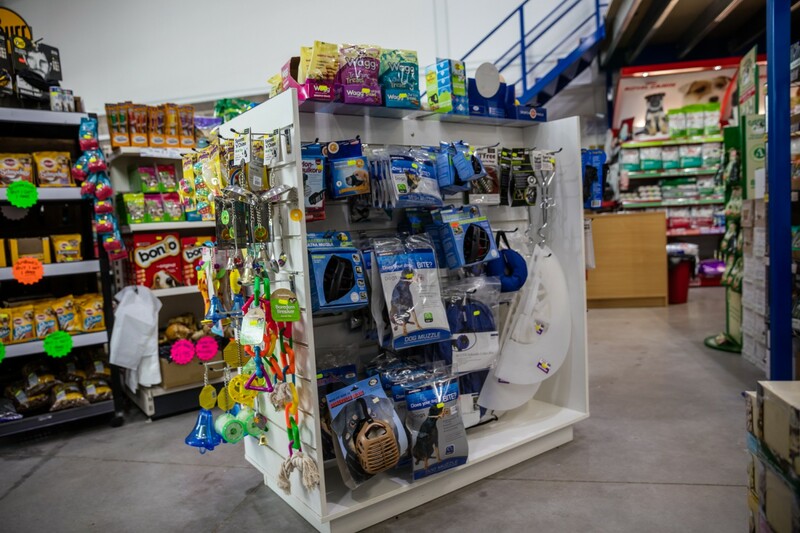 Hypo-allergenic pet food & treats, accessories & supplies from Weymouth's leading & award winning independent pet shop! 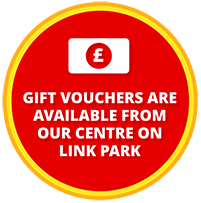 Click here to view our online shop! 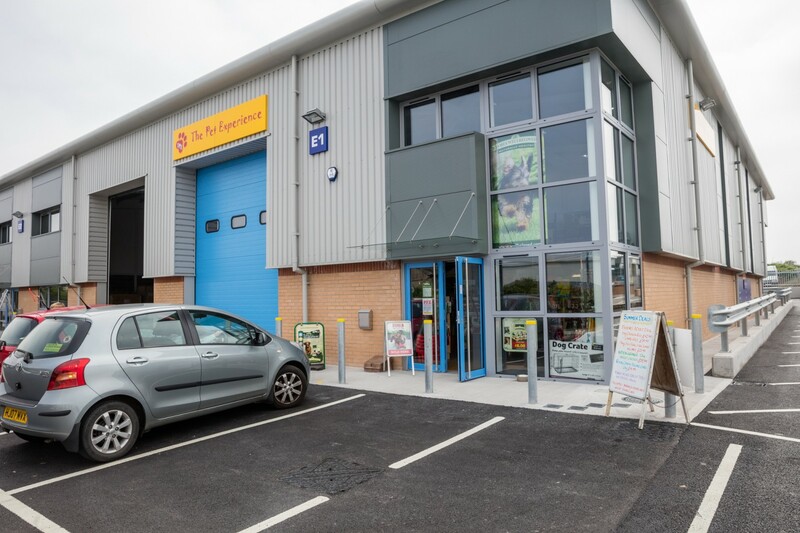 The Pet Experience pet shop in Weymouth was established in 2007, starting off in a small commercial unit on the Granby Industrial Estate. 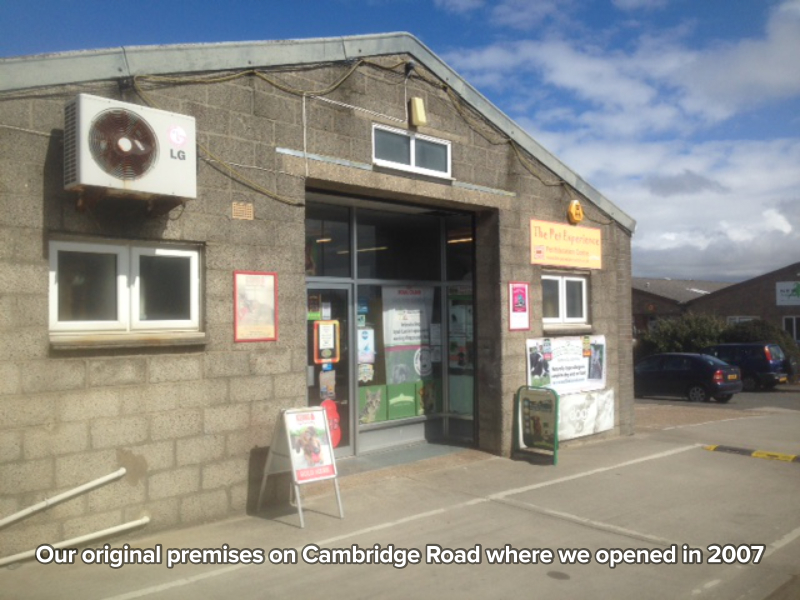 In the years that followed, business steadily grew and after 2 years, more space was needed. By some good fortune the premises next door became vacant and it was a simple case of knocking through the wall to more than double the shop size. Fast forward another 7 years and it was again time to find bigger premises but this time, expanding wasn’t an option. It was then that it became time to leave the Granby Estate and move next door to the newly built Link Park Trading Estate. 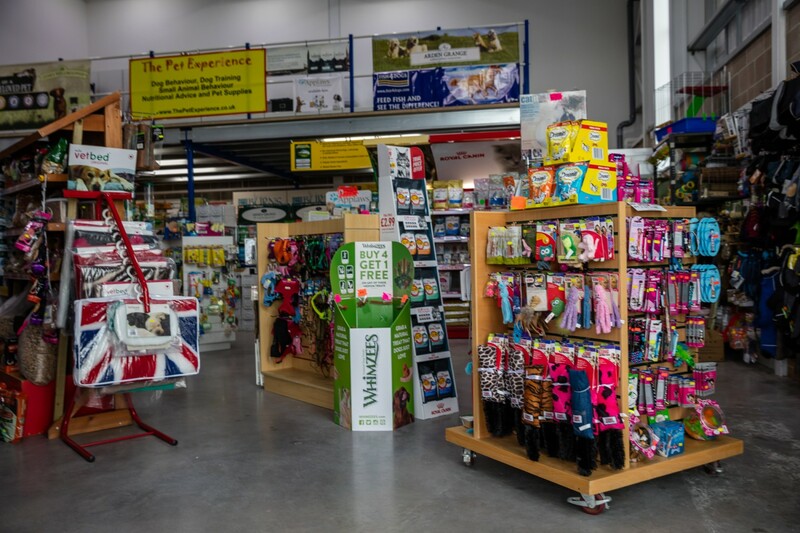 Bigger, brighter premises awaited and it is here that you will find The Pet Experience today! 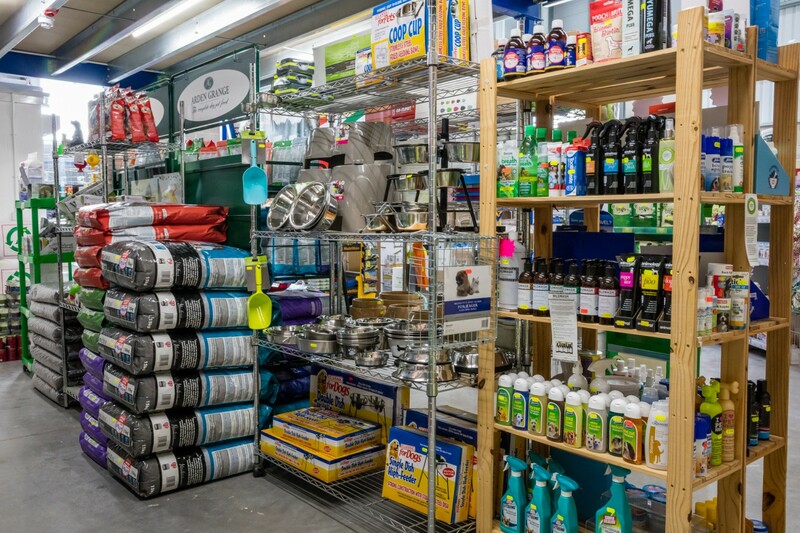 You can take a virtual tour through the shop below or browse through the photo album to get a feel for what we do. 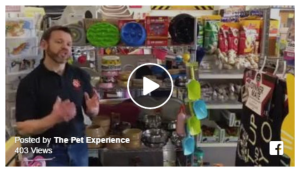 At The Pet Experience our focus is your pets and you. We want to help and support you in taking the best care of your pets. 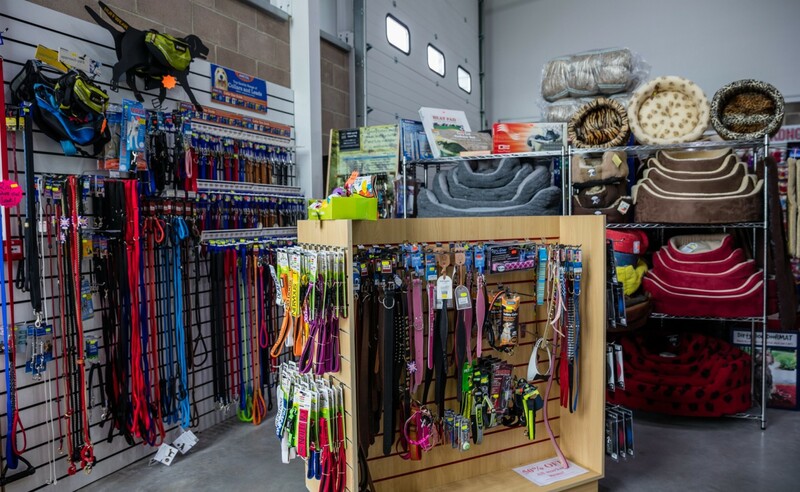 Be it picking the right car harness for your dog or choosing the right food for your hyper-sensitive cat, our friendly, expertly trained staff are here to answer all your questions. 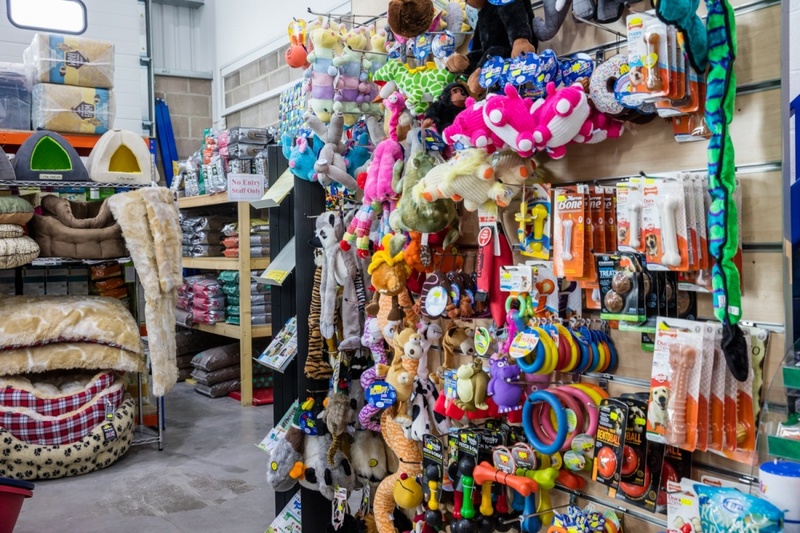 We cater for all shapes and sizes of domestic pets and you’ll find everything you could want on our shelves. If you’re after something unique or hard to get, just let us know and we will do our best to source it for you at the best possible price. 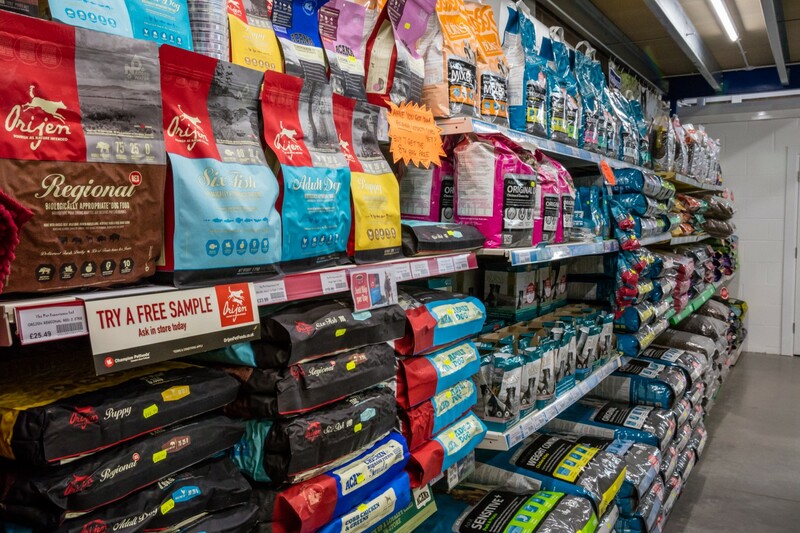 In an effort to combine high quality with great prices, Easterbrook’s pet food was launched in 2009. 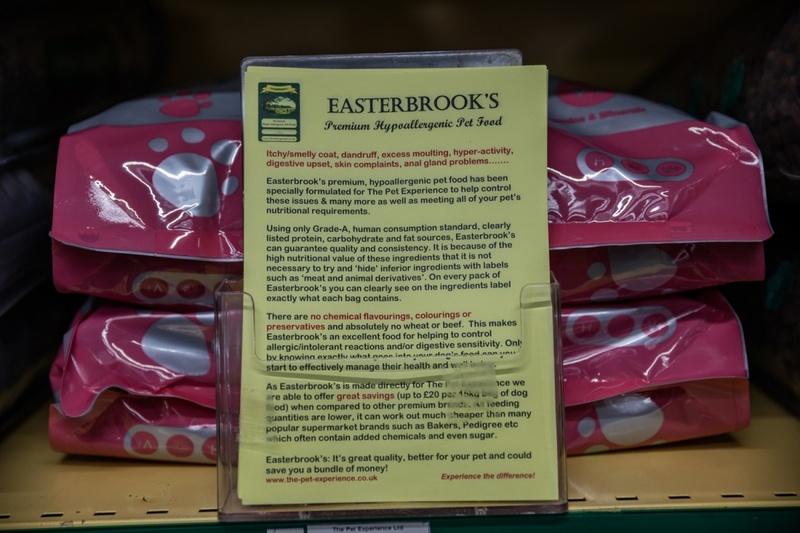 Easterbrook’s is our own-brand of Super-Premium Hypo-allergenic pet food for dogs and cats. It has grown over the years to be one of the most popular foods we sell and is available in-store and also on-line through our on-line shop. 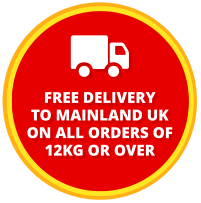 Nationwide delivery is free of charge on orders of 12kg and over. 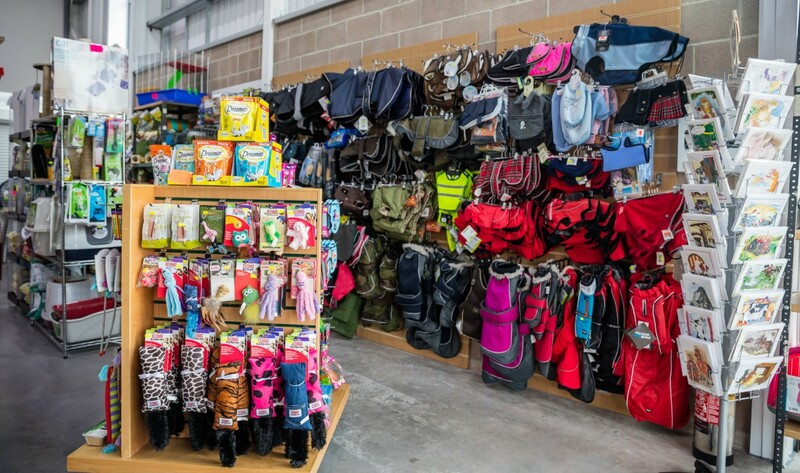 It’s not just Easterbrook’s pet food that we sell though! 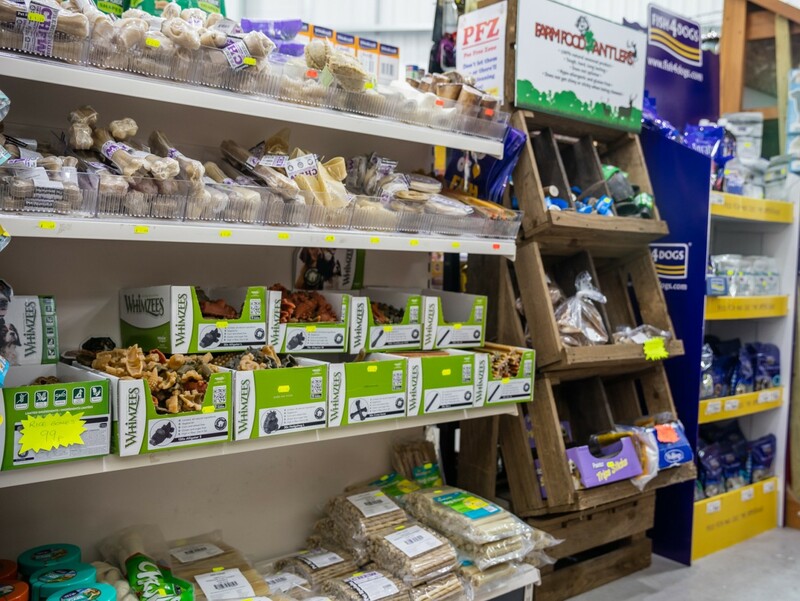 As a specialist, independent nutrition centre, we stock a wide range of hypo-allergenic pet foods and have experienced, knowledgeable staff to help you choose the right one for your pet. 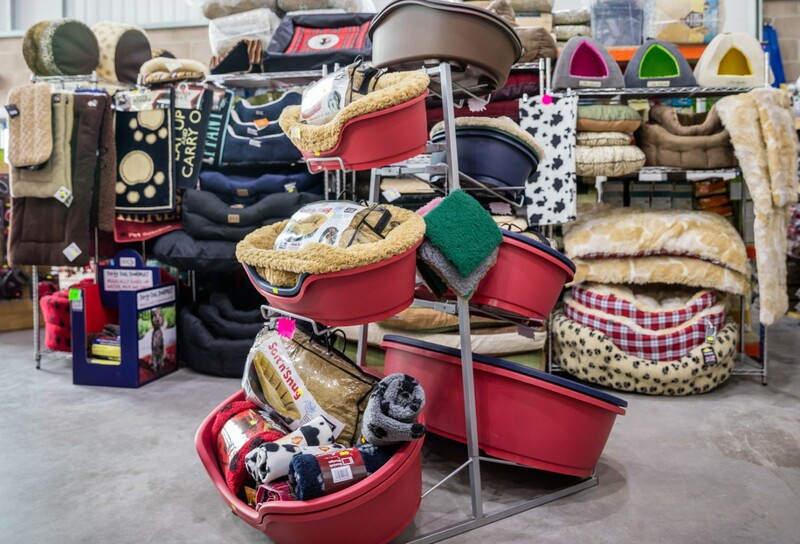 We have strict criteria on what qualifies to sit on our shelves and be taken home by you. In doing so we have built a strong reputation based on knowledge and trust. All of the foods we stock are the same yet they’re all very different too. They’re the same as they are all hypo-allergenic foods with high palatability (taste), high digestibility and low residue (poo). They’re different as some are high protein, some low protein, some grain free, some high fibre etc. Every animal is different and part of finding the right diet for your pet is understanding and working with this. Just because it worked for your previous pet doesn’t mean it will work for your current/new one. This is why we’re here, it’s what planted the seed for The Pet Experience and it’s what drives us everyday. Helping you to help your pets be as healthy and happy as they can be! 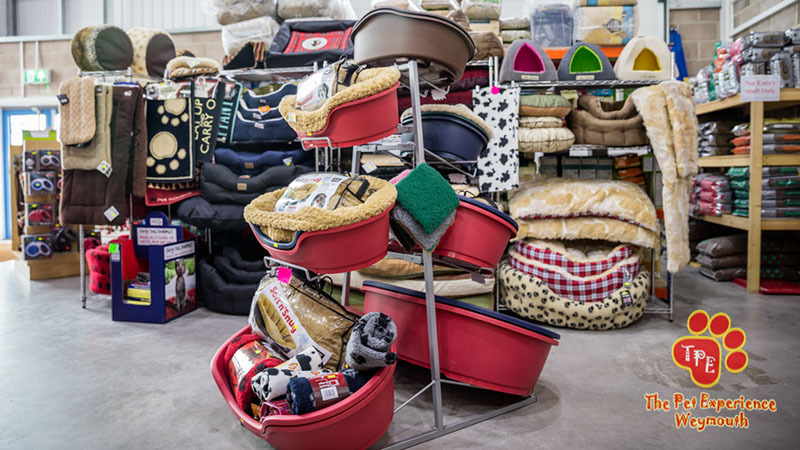 Pet products and accessories, particularly food/nutrition can be a minefield. Many people think that pet food is pet food…it’s all the same. Unfortunately this is not the case. The differences between the various choices available is enormous. The impact of giving your pet the wrong type of food can be very serious. Allergic reactions and food intolerances are commonplace. Often these are caused by foods that use poor quality or mixed ingredients such as the word ‘Cereals’ or the phrase ‘meat and animal derivatives’. These headings cover many different ingredients such as Wheat and Beef to name but two. Both of these ingredients (as well as many others) are generally recognised as not being entirely beneficial to dogs. However with generic headings such as ‘Cereals’ you have no idea as to the exact ingredient make up of the food and thus cannot avoid these or other ingredients that you know cause problems in your pet. Also, as these foods are not a fixed-formula with ingredients that can vary from one production batch to another, people often find that the food they have been feeding their pet for many weeks or months with no adverse reactions can suddenly start causing problems. 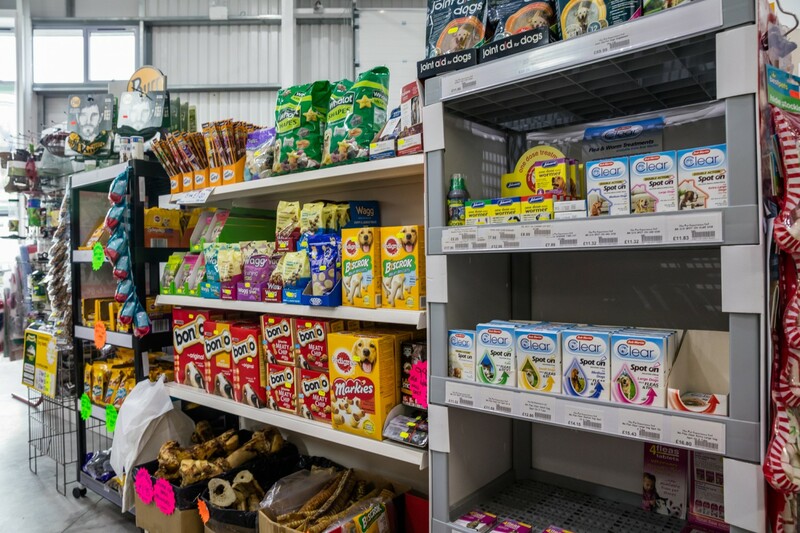 Unexplained diarrhoea, vomiting, skin irritation or behavioural issues can often be a reaction to ingredients changing within a given pet food, unbeknownst to the owner. Determining an intolerance is the first step, managing it is next – but with the right diet this need not be a problem. People often accept a poor, lack lustre coat as ‘part of their pet growing old’. The development of eczema or poor dental condition is often dealt with as a symptom instead of effectively dealing with the cause of the problem. We are here to help people make the right decision when it comes to nutrition (or any other pet related matter). A decision based on facts and not on flashy television advertising! We can talk you through ingredients, explaining the pros and cons of each. After all, what’s good for one pet may not necessarily be good for yours. And if you like, bring your pet down….we’d love to meet them! It’s not just dogs and cats that we cater for though, we love our small furries too. We can teach you all you need to know about owning and caring for rabbits, guinea pigs and other small animals, you might be surprised at what you may learn!